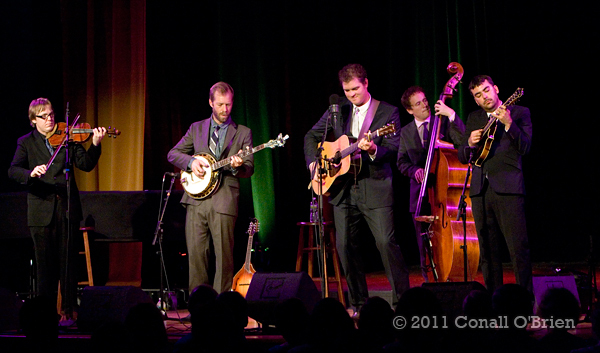 The Steep Canyon Rangers at the Opera House of Boothbay Harbor - Saturday August 6th, 2011. 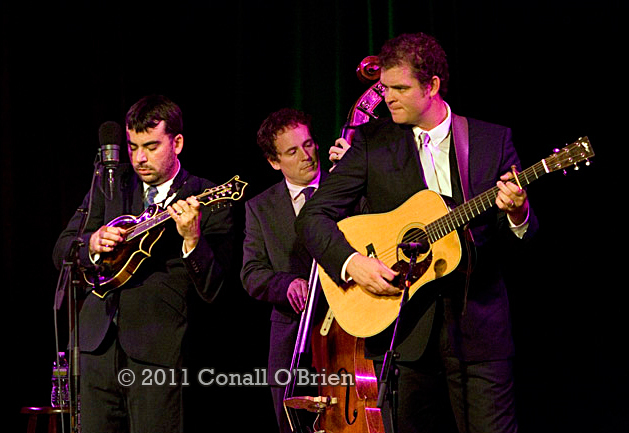 This blazing hot bluegrass group , has been named Emerging Artists of the Year by The International Bluegrass Music Association. 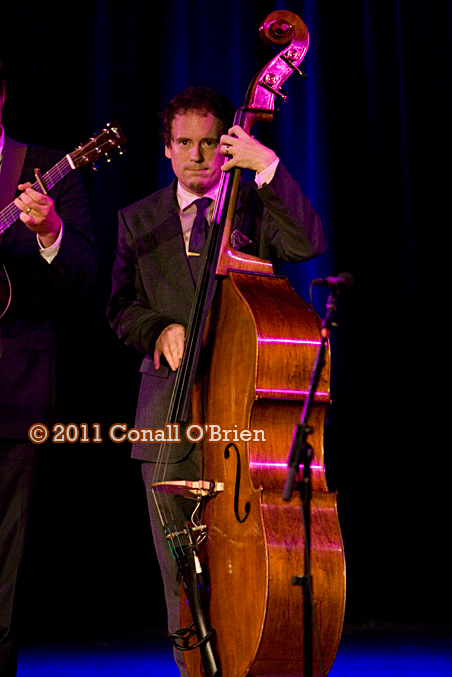 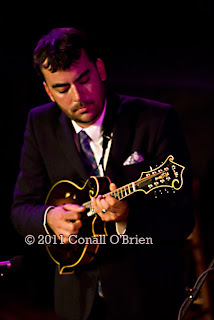 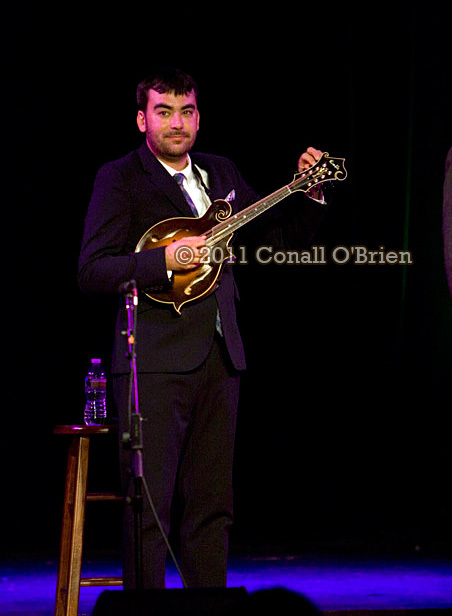 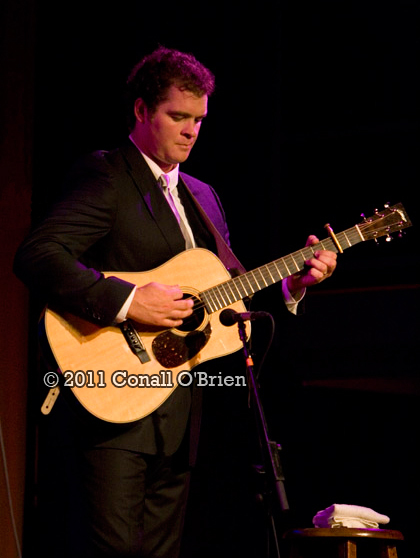 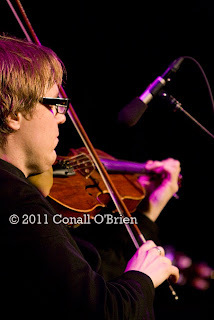 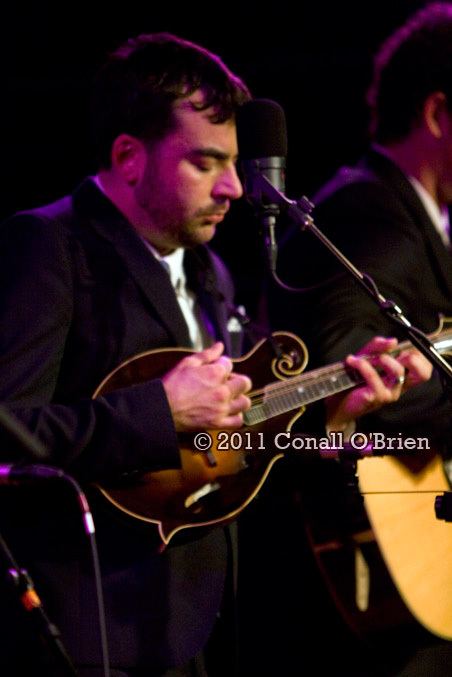 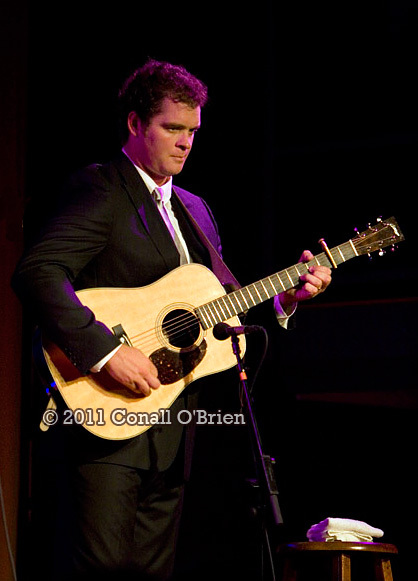 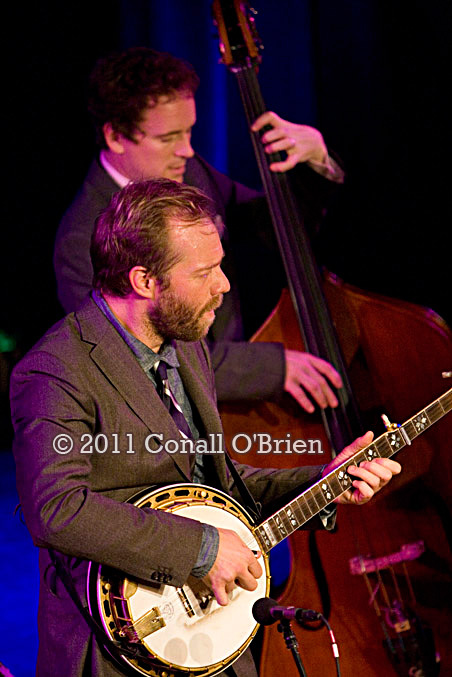 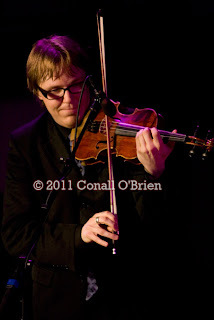 Hailing from Brevard, N.C.,(with frequent photo features at concertphotosmagazine.com), Steep Canyon Rangers have appeared from Los Angeles to New York, performing at all the major bluegrass festivals in the US and abroad. 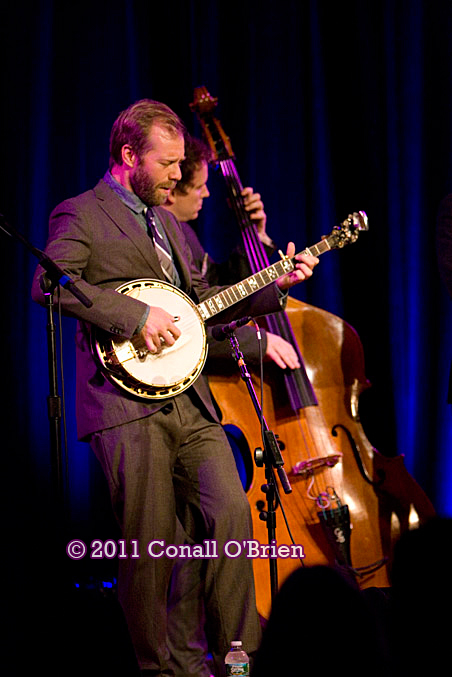 They have recorded with Paul McCartney and recently earned fame as the backup band for comic-turned-outstanding-banjo-player Steve Martin. 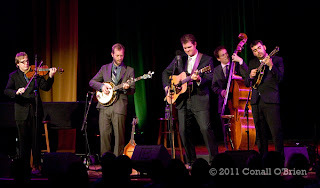 It was another classic Opera House performance and "as good as it gets in tradition-based modern bluegrass". 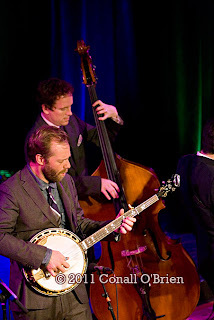 The Steep Canyon Rangers play The Opera House of Boothbay Harbor. 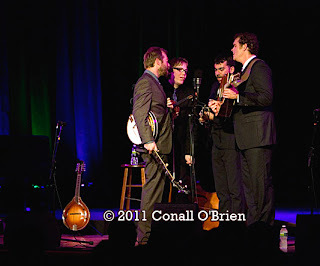 Excellent room acoustics lend to a fine A Capella rendition. 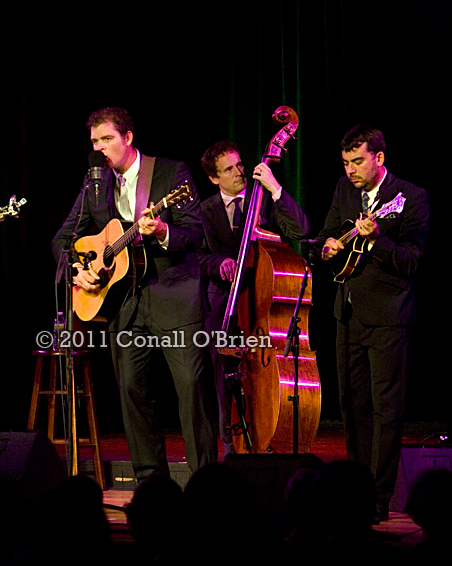 Interested in more outstanding images created of The Steep Canyon Rangers? You need not fret , as they have been featured twice in photo articles by David Oppenheimer and Butch Worrell.